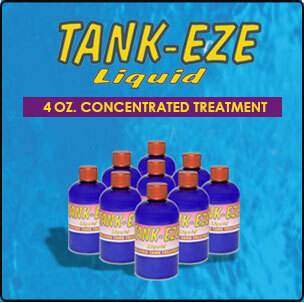 Tank-Eze Treatments are a powerful, new line of products designed to clean and maintain the holding tank system in your boat or RV system. 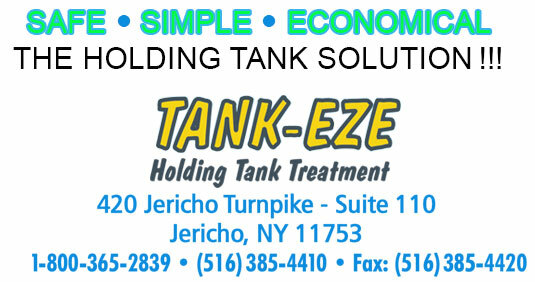 They are safe, easy to use and economical. Our proprietary formulation of pro-active bacteria, enzymes and oxygen supplement break down all organic waste and tissue material. There is no formaldehyde or toxic chemicals and it is completely safe for your boat or RV system. Pour 4 oz from tip and pour dispenser or one 4 oz concentrate bottle down the toilet and flush. 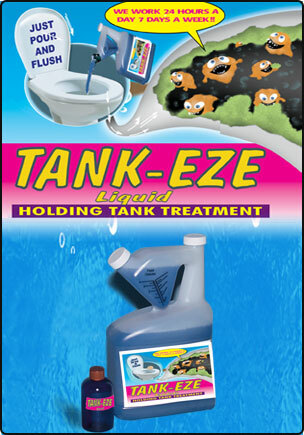 Then each time holding tank is emptied repeat treatment.